Grace Hopper College – founded as Calhoun College in 1933 and renamed in honor of Grace Hopper ‘30 M.A., ‘34 Ph.D. in 2017 – is one of the smaller residential colleges in size and number of students. But don’t let that fool you! Its size encourages tight-knit community, and its central location and intimate space make it a wonderful place to be. The College boasts a wide array of facilities, including a cabaret; dance studio; music practice rooms; pottery studio and art room; fitness and weight facilities; student kitchen, and digital media room (to name a few). Hopper students can also be found playing pool in the buttery or cozying up with a good book in the library. But by far the best part of Grace Hopper College is the people. 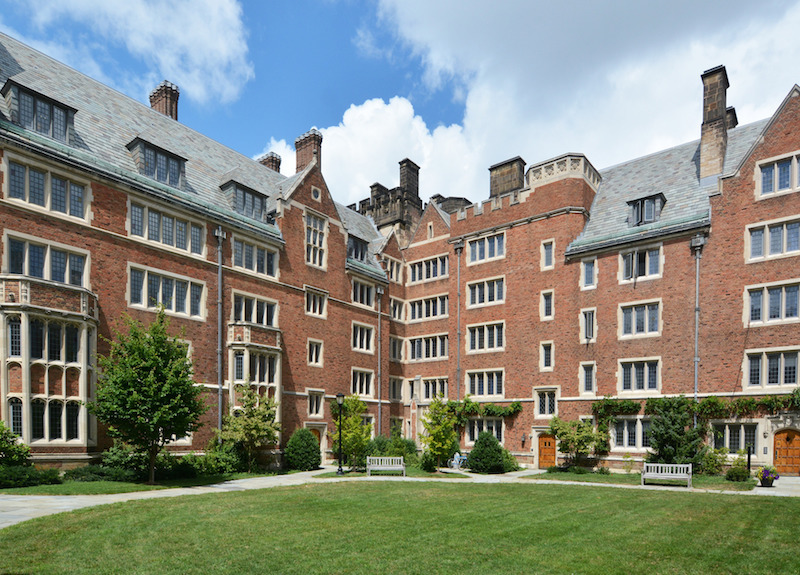 Hopper students are involved in everything the university and city have to offer, whether leading New Haven service trips, rocking Yale’s halls in music groups, or playing on the intramural fields. So students are busy, but that doesn’t detract from the sense of community—for all four undergraduate years, Grace Hopper College is a home away from home. Hopper students are fun, friendly, curious, and encouraging, and make a point of looking out for each other and working together. That description matches our Head of College and residential college Dean as well. The Head and Dean shape the academic and social community and its engagement with its complex history and the world outside its gates. The entire staff of the College goes above and beyond to make the College even more unique, from organizing special meals in the Roosevelt L. Thompson Dining Hall to working with students to throw events like HopFest or September Soiree. 2017-18 was the baptismal academic year of Grace Hopper College. With such a fascinating history, so many interesting people within its walls, and such dynamism, diversity and spirit, we enjoyed a wonderful inaugural year, as predicted. We now enter our second year with equal enthusiam and excitement.